Bill and Tony Kreutzjans grew up in the development business and worked together at Ashley Builders, a company built in part by their father. Now the brothers find themselves playing their own significant roles in the redevelopment and revitalization of downtown Covington. "I think of me sitting in that window of (father Bill's) building at 226 Pike Street when I was 4 or 5-years old, looking right out at the street," Tony remembered. "He'd go around and make repairs and collect rent and I'd be in that building and have no idea I'd be back there almost building my career in the same location." Tony's Orleans Development was an early pioneer in the revitalization of downtown Covington in the 21st century. 226 Pike became the Magnolia Lofts, with condominiums and offices, and a block east, he developed more condominiums just as the housing market was about to sink. Orleans has since become a leading player in the market-rate rental development in Northern Kentucky's urban center, managing the Pulse Lofts, developing the Market Lofts and Pike Star apartments, among others, and is returning to the owner-occupied market with the ambitious development of the Boone Block Building which will house nine 3-story townhomes priced at more than $300,000 each. Construction has barely begun at the massive Boone Block Building on Scott Boulevard and already four of them have sold. "It's saying a lot about the market. I determined early on that it couldn't be rental because of the limited parking. It needed a lower-density use. I didn't see any housing projects going on anywhere in Northern Kentucky," Tony said. "I thought there would be a demand coming out of this recession and I just felt there would be a really solid market and a lot of demand for it, especially of this quality. It seems the market has a lot of remnants of foreclosures and low quality housing. "It used to be that you couldn't pre-sell anything. I went into this expecting that I'd have to build the first one to sell them. 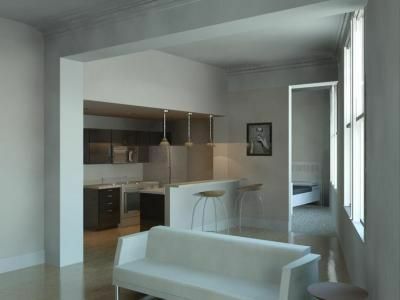 I'm pleasantly surprised that by some renderings and photos of our inspiration, it's been able to sell." As Tony continues to tap into the city's historic building stock for new housing opportunities, he now runs into Bill more often than before. Bill is now a partner at Ashley and is co-developing the Mutual Building at Pike Street & Madison Avenue, which is nearing completion on 15 upscale apartments and street-level commercial spaces. He is also serving as an advisor during the development of The Hotel Covington. With the Salyers Group, which whom he's working on the Mutual Building, the next project will be the Doctors Building at Seventh Street & Scott Boulevard which will retain street-level commercial spaces, one upper floor of commercial spaces, and two upper floors of apartments. 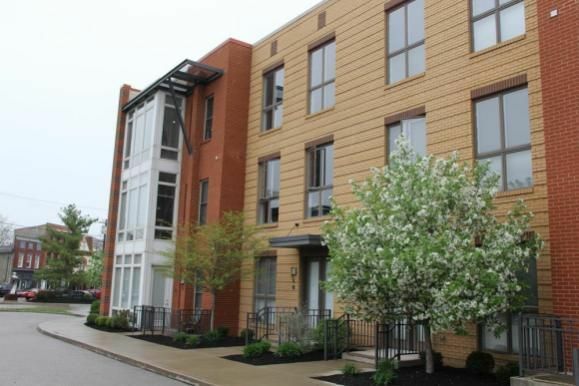 Though Ashley has plenty of experience in suburban development, there is a growing emphasis on urban redevelopment as demonstrated by the company's prized $17 million project The Reserve at 4th & Race in downtown Cincinnati. "There is a national and local trend that people are moving back downtown," Bill said, citing desires of residents for walkability and quality of life issues. The trend spreads the demographic spectrum from younger professionals to empty nesters. "Every single older person I'm meeting is saying, yeah, I own this house in Indian Hill or Anderson and I want to move, I want to downsize and move somewhere in the city." "I'm building more to the millennial than the move-back empty nester," Tony said. "I find them to be very open, espectially for areas on Pike Street where you still have this mix of old and people needing help and assistance, but they are not threatened or bothered." The Market Lofts completely leased before construction was finished. The Kreutzjanses are finding that many of these new residents are coming from outside Northern Kentucky, which was also the case when Tony and project partner Marc Tischbein took over the Pulse Lofts on Banklick Street which were originally developed as 32 condos but flopped amid the housing crisis, but easily sold out as rentals. 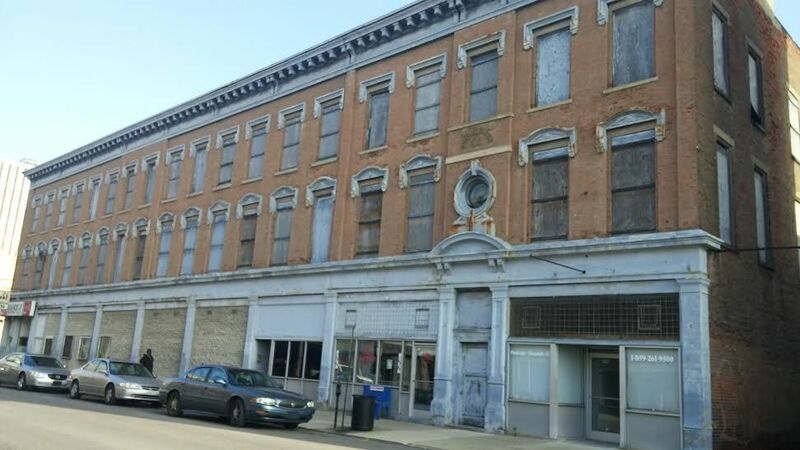 "I'd look at the area codes on the tenant rolls and maybe 15% were from Northern Kentucky. They were all from out of the area," Tony said. But, Northern Kentucky residents are catching the urban fever, too. "As the attitude shift is happening - we're way behind the times as Northern Kentuckians, but more Northern Kentuckians are moving down," Tony said. "It used to be that the parent would come down with the potential tenant and that was the kiss of the death. If I saw a parent, I'd think I was wasting my time, but now it's not the kiss of death," he said, laughing. 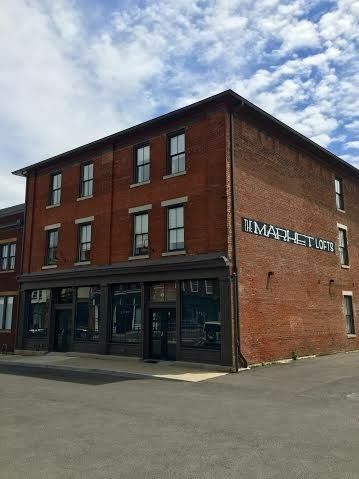 Bill may be newer to urban redevelopment but has lived in Newport's historic East Row District for 17 years and the brothers recently completed a project together on Monmouth Street that has a commercial tenant and residences above. The recent Beyond the Curb event by the Catalytic Fund that drew more than 600 visitors to downtown Covington to check out the new residential developments will be repeated in Newport in the fall. "Beyond the Curb, I think people took away a lot that they didn't expect," Bill said. "They took in the high quality. It had been a long time since people had been through some of these buildings. We had really good comments." And as the demand for urban housing units continues to rise, the responsibility continually falls on the shoulders of the Kreutzjans brothers and their respective companies. Bill, 43, and Tony, 40, who attended Clemson University and Loyloa (New Orleans) University respectively, returned home after college and have carved out their own place in the local development community, though they disagree on whether they knew each would be taking this path. "I didn't know what I wanted to be but funny enough, I was building treehouses up through my senior year and didn't think much of it," Tony remembered. The development opportunities in Northern Kentucky's River Cities are particularly well designed for builders like the Kreutzjanses, which is why their names come up so often when a new project is close to beginning. "(The cities) are not turning people away, there's just no one else that knows how to do it," Tony said. "Big developers only know big scale projects and that $1 to $2 million range of projects, there's not a whole lot of development companies that understand how to do them." While neither brother would say what might be next in the pipeline, each said that there other possibilities on the horizon. "All of the River Cities are excellent to work with," Bill said. "They're interested in moving forward and that's nice to see."